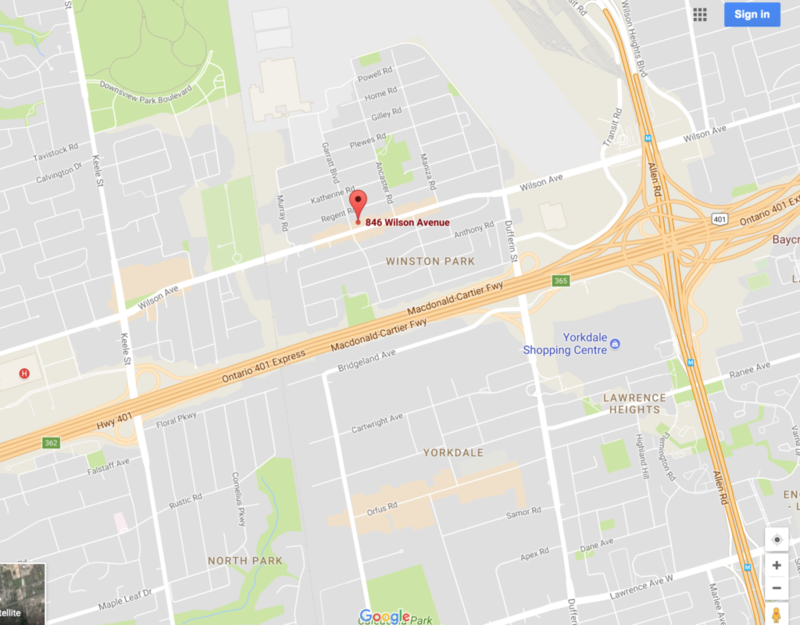 846 Wilson Avenue is three blocks west of Dufferin St. (it is between Keele St. and Dufferin St.)Small intersection is Wilson Ave. and Garratt Blvd. From Wilson sub-way, take any bus going to Wilson Ave. west, get down at Wilson Ave. and Garratt Blvd. Intersection, (in front of Shell Gas) “Nature’s N Homeopathy” Store is opposite to Shell Gas.